The INTERNATIONAL KARATE KOBUDO FEDERATION is pleased to announce that for 2018 we will be offering our 2018 IKKF FALL KOBUDO CAMP, SATURDAY, OCTOBER 13, 2018. The ONE DAY training will be held at the PROVENCHER DOJO in Rumford, ME. The focus of the 2018 IKKF FALL KOBUDO CAMP is to provide intense training in Okinawa Kenpo Kobudo. The IKKF has at its Trainings provided our members with access to some of the best Senior Instructors in the States. Instructors for the 2018 IKKF FALL KOBUDO CAMP will be Hanshi C. Bruce Heilman, 10th Dan and Hanshi Ann-Marie Heilman, 9th Dan, and will as usual be assisted by the IKKF Renshi-Kai Instructor Staff. 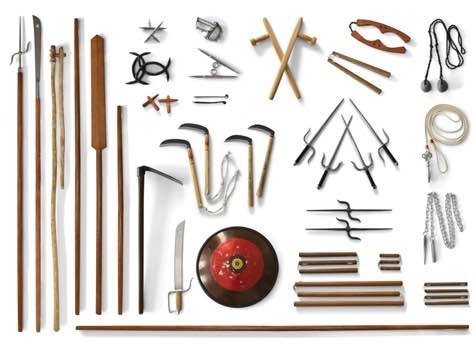 The 2018 IKKF FALL KOBUDO CAMP will cover training in ODO LINEAGE KOBUDO. Bring your own weapons as necessary. Some weapons will be available for sale at the event. NO VIDEO TAPING is permitted of the seminar by seminar participants. IKKF Video Training DVD's will be available for purchase at the event. We would also like our IKKF Kobudo Certified Yudansha to wear their FORMAL BLUE HAKAMA AND TOP for the training. The cost for attending the day of training for IKKF MEMBERS is only $65.00 (Pre-registration) / $75.00 (at door) and $85.00 for Non-Members. Accommodations is being coordinated by the PROVENCHER DOJO in Rumford, ME. You can contact Sensei Provencher at "kpinme94@gmail.com". A single price has been set for both accommodations at the Event Barn alson with a dinner Saturday evening. REGISTRATION LIMITED - SO REGISTER NOW TO RESERVE YOUR PLACE - SPACE LIMITED! !